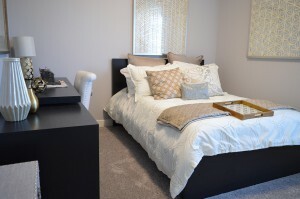 Is Your Guestroom Ready For Holiday Visitors? It might seem odd that you should spend the night in your own guestroom but it is really the best way to tell if the bed, sheets, blankets and pillows are comfortable. If you can have a good night’s rest, then your guests will be fine, too. Little details in the guestroom can put a smile on your holiday visitors. Think about touches like fresh flowers, a fruit basket and some bottle water… just like a four-star hotel! You should also print out your home’s Wi-Fi password so it is handy. For the bathroom, you can offer up slippers, a bathrobe (nobody packs those!) and fluffy towels. A small basket with shampoo, soap and lotion is travel size bottles is also a nice touch. You are going to be playing tour guide for your guests. If you can’t spare the time off from work, consider hiring a car with a driver for the day to show them around town. That way you won’t have to worry about them getting lost or dinging up your car. It might help to also provide your guests with a spare key so they can be free to come and go. You certainly don’t want your holiday guests to be surrounded by junk in that guestroom. Take this opportunity to finally get rid of all the old furniture, clothes and other items you’ve stashed in there. One call to Junk King Seattle can take care of that. They’ll send over a team of workers who will do all kinds of lifting and loading. Your only job will be to point to what you want taken away. Getting your guestroom ready for holiday visitors starts with a junk removal session with Junk King Seattle. This entry was posted in Seattle Junk Removal and tagged guestroom, holiday visitors, Junk King, junk removal on November 30, 2017 by Junk King. Last updated December 4, 2017 .